As a homeowner, you know the problems pest birds can create when they’re allowed to roost and nest in eaves, canopies, awnings and other covered areas around your home. The beams of your patio cover, gazebo and other elevated backyard structures offer an ideal sanctuary for birds. These areas protect them from weather and predators. Unfortunately, when birds gather there, they create quite a mess down below—on your patio table, chairs, BBQ, walkways, spa, pool and thru-window serving bars. Kids toys can also become covered with disease carrying bird droppings. A lightweight, easy to handle mesh, Garden Bird Netting physically denies pest birds access to specific areas of your home. It comes in 14 x 100-foot and 14 x 200-foot rolls and can easily be cut down to the size you need. It’s also available in three different "mesh" sizes: 1/4", 1/2" and 3/4" mesh. The netting installs easily under eaves and other areas, and bird netting clips are available to further speed installation. The best garden bird netting is made from a durable, UV-protected polypropylene. It’s strong, lightweight, designed for temporary use and practically invisible. Another bird control product that effectively denies birds access to your eaves is Bird Slope. The angled PVC panels won’t allow birds to gain a solid footing on its slippery surface. After a few tries of “squirrel-caging” on the panel, birds just give up and move on. 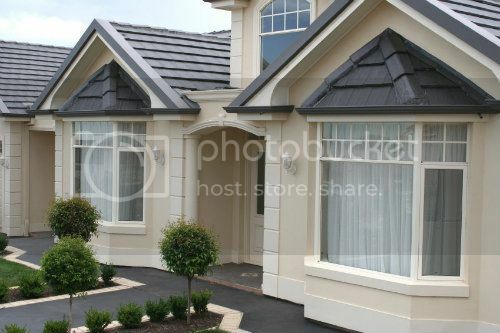 Bird slope panels come in different colors to blend in with your home’s exterior. The panels are easy to install using glue, nails or screws and they're basically maintenance free. If your home has a number of small holes and crevices under the eaves and other architecture, Copper Stuf-Fit mesh will keep birds out. It works great for all those tight spaces too small for regular netting or other bird control products. The mesh comes in 20-foot and 100-foot roles and can be “shaped” to conform to the area needed to keep birds out. Stuf-Fit mesh holds its shape in small, narrow areas so birds can’t “work” their way around it. The mesh can even keep birds from getting under your roofing tiles, retractable awnings, and junctions where pipes enter your siding or foundation. Simple but effective, No Nasty Nest uses hanging "twine" to block birds from potential nesting sites. Confronted with working through a gauntlet of twine strips, birds will simply move on to a better nesting spot. If you had swallow mud nests under the eaves and sides of your home last year, No Nasty Nest makes a great bird deterrent. Each strip of No Nasty Nest features a self-adhering back for quick application on eaves, gables, entryways and other areas. Copper Stuf Fit Mesh can you give me more details and can I use it under a retractable awning.